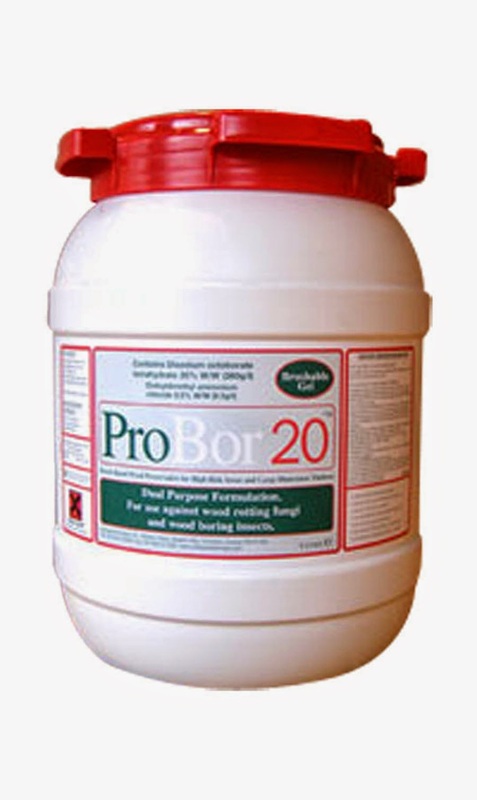 ProBor 20 is a ready-for-use wood preservative gel based on boron, a naturally occurring mineral with a long history of use. It is used for the treatment of dry rot and wet rot in larger dimension timbers (up to 25mm x 75mm). It is also effective against wood-boring insects and is particularly useful when treating infestations of Deathwatch Beetle. The high level of active ingredient in ProBor 20, combined with its gel formulation provide for excellent penetration into timber - particularly damp timbers which are particularly vulnerable to fungal attack (dry rot and wet rot).